When you are ready to spend money on renovations for your Lakewood Ranch, FL home, it is a good idea to shop around so that you can find the best deal. Not only are you searching for the lowest prices, but you also need to find an installation team that you can trust. The quality of the contractor that you hire will have an impact on the long-term results that you receive. 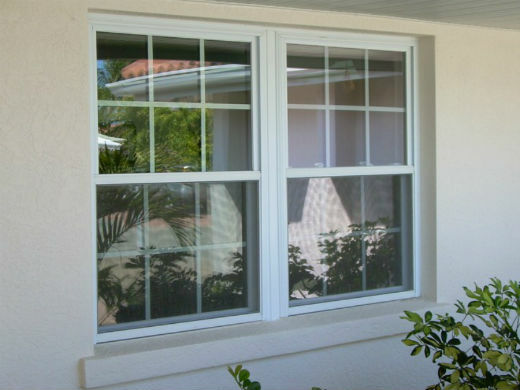 Here at Armored Dade Windows & Shutters, we are experts in the replacement window and door industry. We believe that every customer deserves the best service that is available. So, our team will work hard to offer unbeatable customer service for your family. We know the right questions to ask to learn more about your goals for your home renovations. This personalized service is designed to provide custom-designed windows that will create the home of your dreams. We will design the products with your family in mind, giving you the best results when we are done with the installation. You are welcome to schedule a no-obligation consultation when you are ready to learn more about the services that are available. In most homes, the windows are often the weakest point when it comes to insulation. You might be cooling each room with a high-quality air conditioner, but that cool air is lost through the poorly insulated glass and leaky window frames. As a result, the air conditioner must turn on more frequently to overcome the weaknesses in the room. The more your air conditioner runs during the day, the higher your utility bills will be. It is impossible to control energy costs if you don’t have windows with good insulation. There is no doubt that replacing the windows should be your first home improvement project if you want to upgrade the efficiency of your home. After the replacement doors and windows are installed, your home will be sealed and protected from the influences of the changing temperatures outside. You can maximize your energy usage by minimizing the amount of time that the air conditioner is running. Energy efficiency features for the windows include multiple panes of glass, Low-E coating, and a tight seal on the frames. Talk to our team to learn more about energy efficiency ratings and how they will affect your home. You will also notice that new doors and windows offer a great way to upgrade the overall appearance of your Lakewood Ranch, FL home. Consider the style and design that you want to incorporate into your home. Then, pick windows to match your vision. Come to our convenient showroom to get ideas about the various styles and products that are available. Or, you might look online to find pictures of the types of windows that you want. Bring these pictures to your consultation, and we will help you source materials to match your preferred style. Upgrading the appearance of your property helps you to feel more pride in your investment. You will be able to invite friends and family members to visit without worrying about the first-impressions that are set when people walk up to the front door. When you are choosing new products for your home, consider the durability of these materials. You need to pick products that are built to last in the harsh weather conditions that may be encountered. For example, vinyl windows are popular because they hold up well in the heat of the summer. At the same time, these products will stay strong in hurricane force winds and rain. Make sure to choose products that offer durability without labor-intensive maintenance. It can be a challenge to keep up with painting and refinishing wood surfaces. Instead, pick a low maintenance material, such as vinyl. Our team will talk to you about the ongoing maintenance that will be required so that you can make the decision that is best for your family. The best way for you to choose materials for your home is by learning more about the industry. You can ask questions, compare materials, and consider some of the popular options that are sold in our local area. When we come to your home for a consultation, it is an educational meeting without pressuring you into the sale. You are welcome to take the time that is needed to consider your options before deciding.